Def Leppard News - Original Album Versions To Be Played At VIVA Hysteria! Original Album Versions To Be Played At VIVA Hysteria! 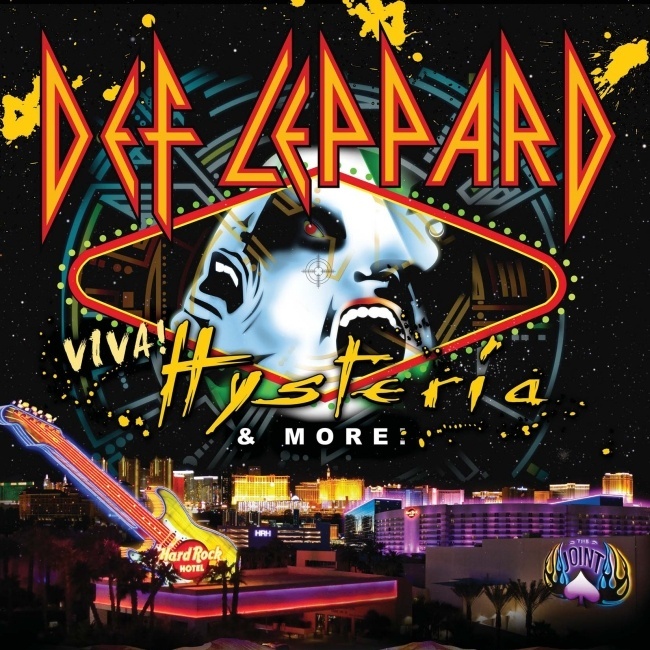 Def Leppard singer Joe Elliott has said the band will play original versions of Hysteria album tracks at the VIVA Hysteria! residency in Las Vegas. Joe was speaking to Rolling Stone magazine in a new interview to promote the 9 show VIVA Hysteria! residency starting on 22nd March exactly 60 days from now. Joe's comments helped to explain ones made by Phil Collen last year about learning the 'Hysteria' album note for note and wanting it to be as close as they can to the originals. This makes the show that much more interesting for long term fans to hear the album played more faithfully to the original and in some cases to the live versions played on the 1987/1988 tour. And hopefully captured on the possible Live DVD. Joe has also backed up previous comments about rarer songs being played during the pre-Hysteria part of the set. "As for the lesser-known Hysteria cuts, including "Run Riot" and "Don't Shoot Shotgun," Elliott confesses that he hasn't sung them in approximately 20 years. Still, he's hardly worried. "It'll not be too hard," he says, confidently. "We're not changing arrangements – like [David] Bowie or Tom Waits might do. We are going to play these songs as they are on the record" – something the band hasn't done as of late. "This way we're going to revert back to the original versions." "But it's the first set that Elliott believes will prove to be the most exciting: The band will perform a slew of rarities and lost gems, he says. The singer is mum on which songs in particular will be revisited, but he reveals that anything pre-1983's Pyromania is fair game. "That's about as much information you're going to get out of me without waterboarding me," he says, with a menacing chuckle."